Posted on September 11, 2015 | Comments Off on What happened to August? The older I get, the faster time passes. Perhaps that is normal, but I feel like I missed all of August! We did some fun things. I followed Scott to Park City, Utah for a weekend of riding bikes–he rode with his friend, Drew and I hiked, read, and caught up on “me” time. It was lovely. Then we both got sick and recovered. That was August. I have lots to update. We finally ended our relationship with the City of Austin with our final remodel inspection. I do not miss them. To accomplish the final inspection, we built a railing on our front steps and porch. We have some stone work left to do and then I will show off the final results. We also have a huge punch list to complete the remodel. We need to finish painting, hang some interior doors, build a few barn doors, redo a screened door, build a deck, do landscaping, hang curtains, and a few other fun projects that we are having a hard time starting. In the meantime, I am one book shy of my 10-book reading goal for the summer. Jane, my niece, decided she would make it a competition. I think she read 13 or 14 books, so she kicked my tail. She is eight and fierce. But I do have a few reviews to share. In the Unlikely Event is a Judy Blume book written for grownups. But it still felt a little elementary. It was an interesting read about a town in New Jersey close to the Newark airport where 3 plane crashes occurred within a few months. 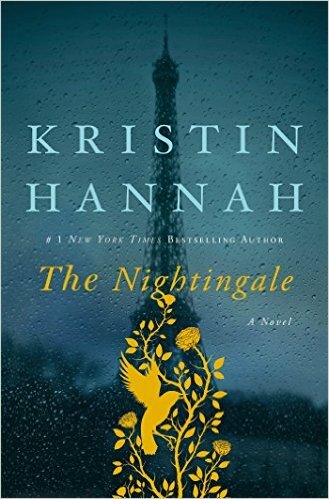 The characters and story line are a bit predictable, but it was a nice, easy read. Stir: My Broken Brain and the Meals That Brought Me Home is a charming book about a 28-year-old woman who had a brain aneurysm while running on a treadmill. She was working towards her PhD in Yiddish Literature and is a lover of food. The book chronicles her recovery and the part food played in it. She is a lovely person with a precious husband. I appreciated her ability to share her own life stories in a way that made me reflect on my own. And her recipes are inspiring! She uses some ingredients that I rarely use. Her plum tart and almond cake are amazing! I am not a huge fan of most memoir/recipe books but this one was worth reading. The only thing missing for me in the book was God’s provision through her recovery, but I don’t think the author is overly spiritual–at least she did not talk about it in the book. She also blogs here. And lastly, I listened to Go Set A Watchman, by Harper Lee. Reese Witherspoon reads it and did a beautiful job. I loved the story. I found myself grinning as I listened. I am still trying to figure out the take away from the book, but I thoroughly enjoyed it. It is nostalgic and more of the same from Mockingbird. I hiked the mountains of Park City while I listened, which was quite a treat. Since then, I have started a few books–Jen Hatmaker’s For the Love. It is great so far. And I am reading some adoption exploration books. More on that in future posts. Comments Off on What happened to August? After reading on vacation, my urge to read continues. I go in phases. I won’t read for months, and then I can’t stop. I heard someone say recently that they were trying to read 10 novels over the summer. And when I thought about it, it seemed totally doable and enjoyable. Scott watched the Tour de France this month and I basically have been reading by his side. I have several books under my belt already. Why not? Vacation reading marked three. And I just knocked out a few more. 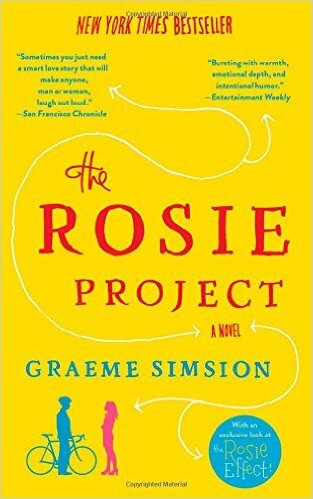 The Rosie Project was one of the most enjoyable books I have read in awhile. I laughed. I was intrigued. I didn’t know how it would end. Don, the main character, is a genetics professor at a university in Australia and though he doesn’t acknowledge or even seem to know so, he appears to be somewhere on the autism spectrum. And he engages in a project to find a wife. It is delightful. And I am glad to know that there are talks of it becoming a movie AND there is a sequel that just came out. Put this on your list. You will love it. Next up for me was a second reading of To Kill a Mockingbird, perhaps with the rest of the world anticipating the Go Set The Watchman release. I will admit, I did not remember the story, but enjoyed the reread immensely. In reading the book, it was easy for me to see why it won a Pulitzer Prize and is such a classic. Not only is the story so compelling and excruciating, but Scout tells the story is such a perfect child perspective. It is one of the few books I have read that compelled me to write down a few lines for remembering later. Its high acclaim is deserved. I want to read Go Set The Watchman, Judy Blume’s new grown-up book, Orphan Train (though it sounds sad), and Stir. That will get me to 10. Let’s see how long that takes. I am almost ready to show “after” pictures of our master bathroom. We need to add a few cabinet pulls and we still need to remove some paint tape. Maybe next week? In the meantime, I wanted to share just a few random things…. I recently read about Harper Lee’s new book and it made me want to reread To Kill A Mockingbird. I read it in school but couldn’t remember the exact story. I am loving it. My favorite moisturizer of the moment. I keep it in my bathroom with this. This is on Scott’s short list of places he wants to visit this summer. Who knew Waco could be such a destination? I read about this shirt on a blog and bought one. It lives up to my high expectations. I want it in every color. I have never taken a good fireworks photo. Maybe now I can? We love the movie Chef, and the Chef Pasta (with a few modifications: reserve some pasta water to add to the mix, cut the pepper a bit, and DON’T let the garlic burn). The movie makes me hungry!